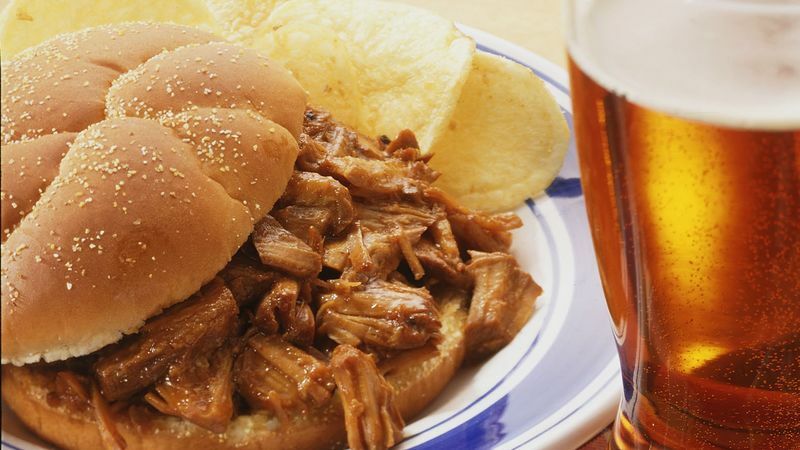 In 3 1/2 to 4-quart slow cooker, combine all ingredients except pork and rolls; mix well. Add pork; stir to coat. Remove pork from slow cooker. Shred pork by pulling apart with 2 forks. Add pork back to sauce in slow cooker; mix well. If desired, to toast rolls, place cut sides up on ungreased cookie sheet; broil 4 to 6 inches from heat for 1 to 2 minutes. Spoon about 1/2 cup pork mixture into each roll.